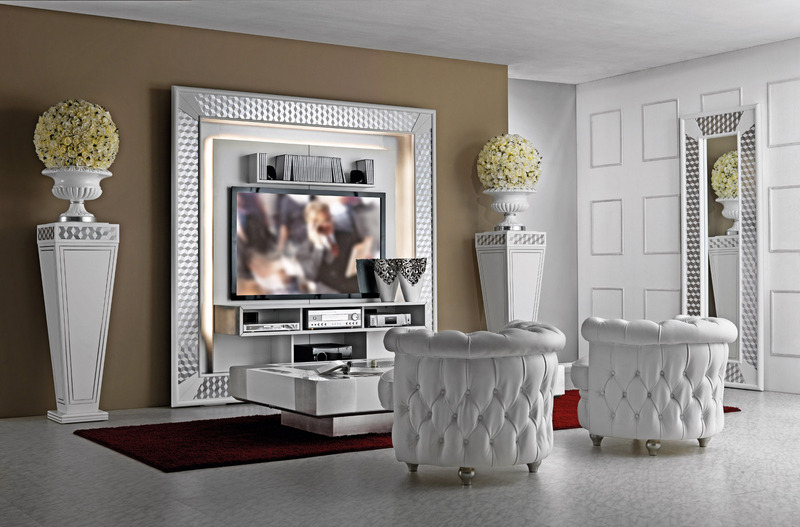 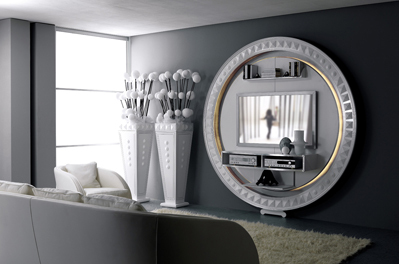 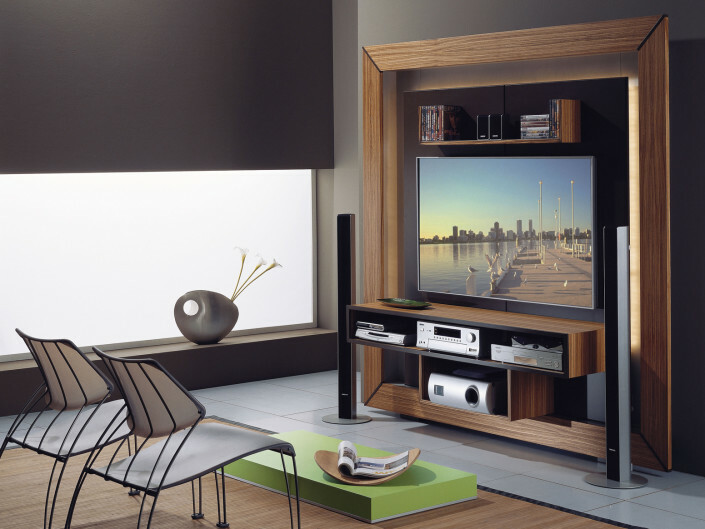 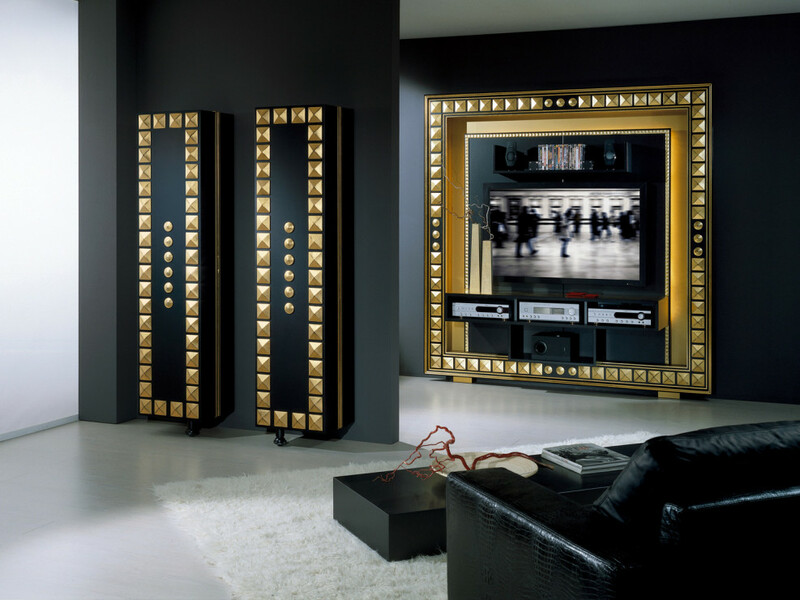 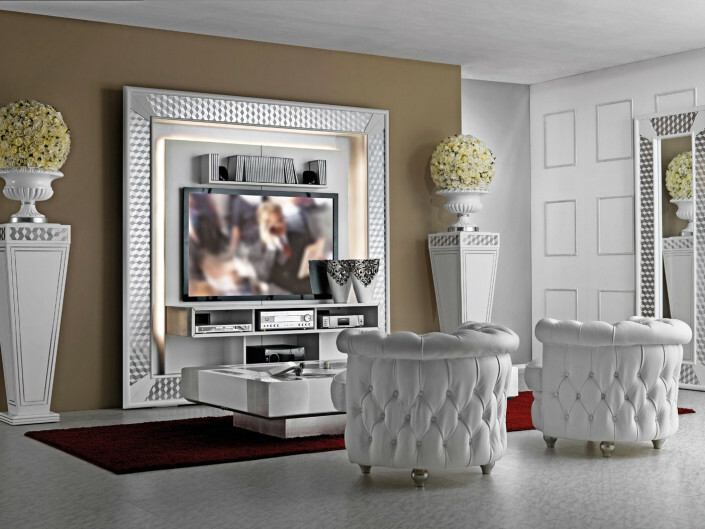 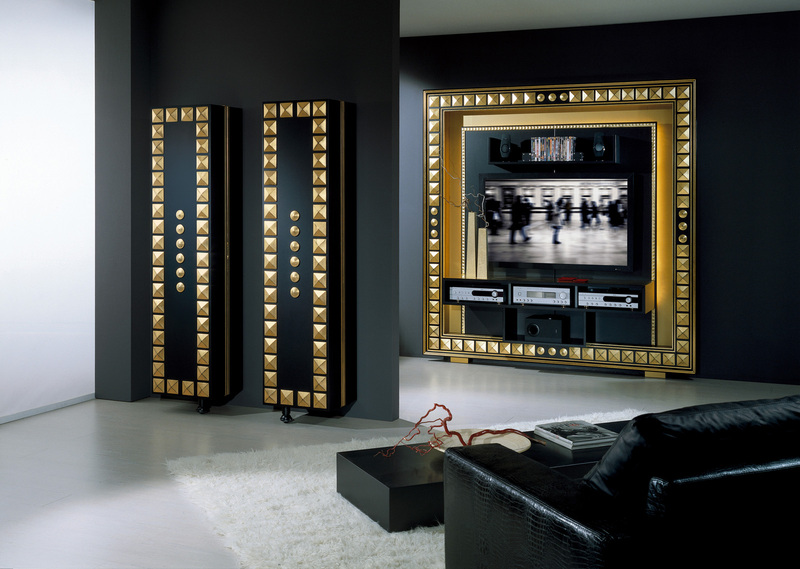 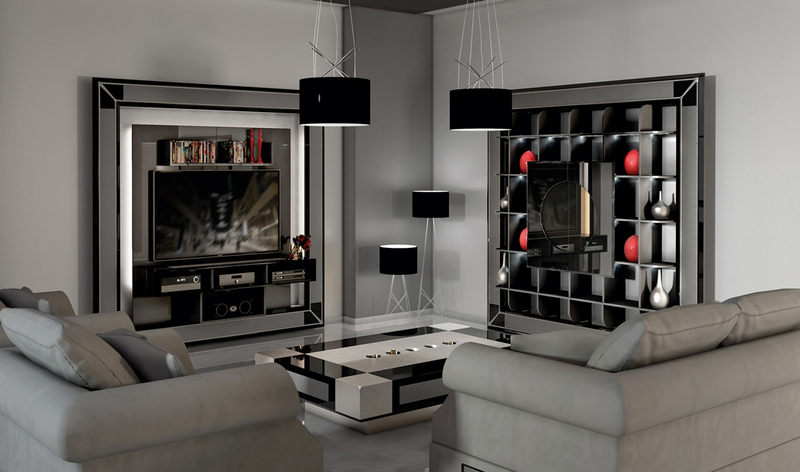 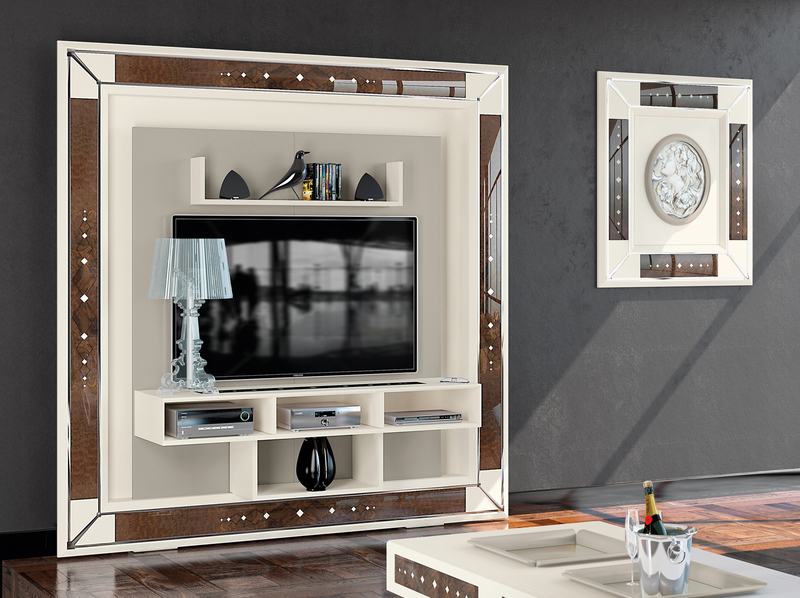 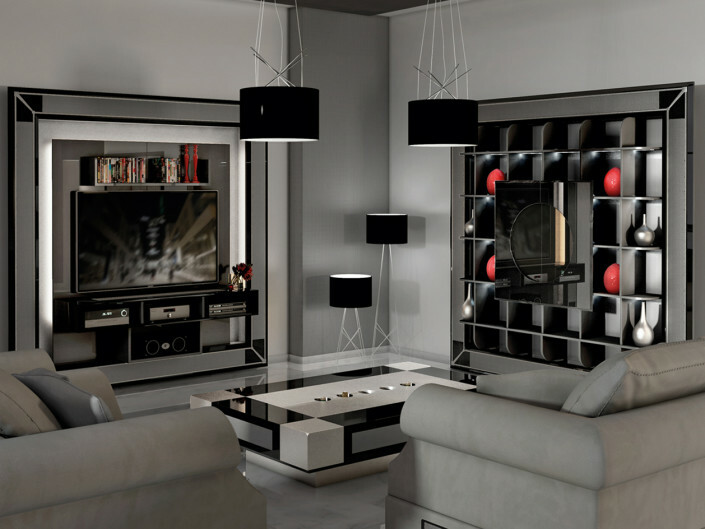 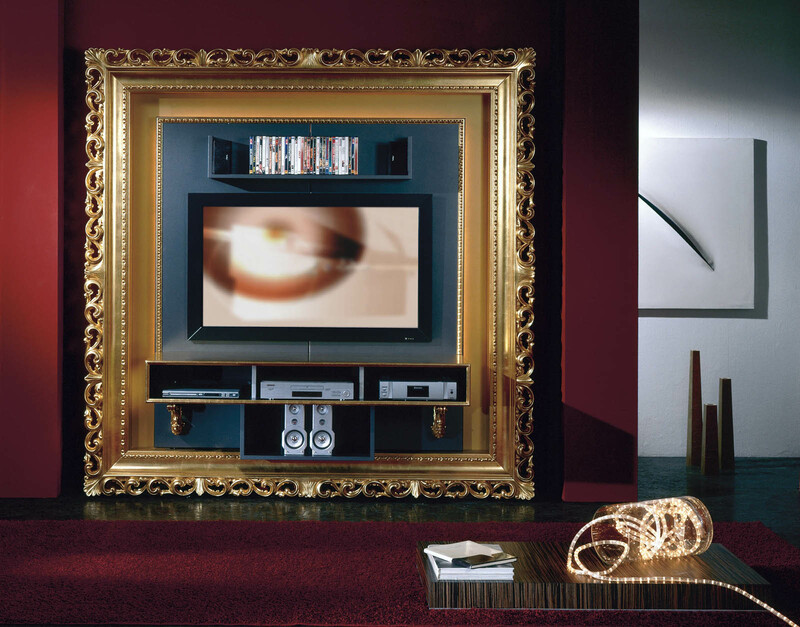 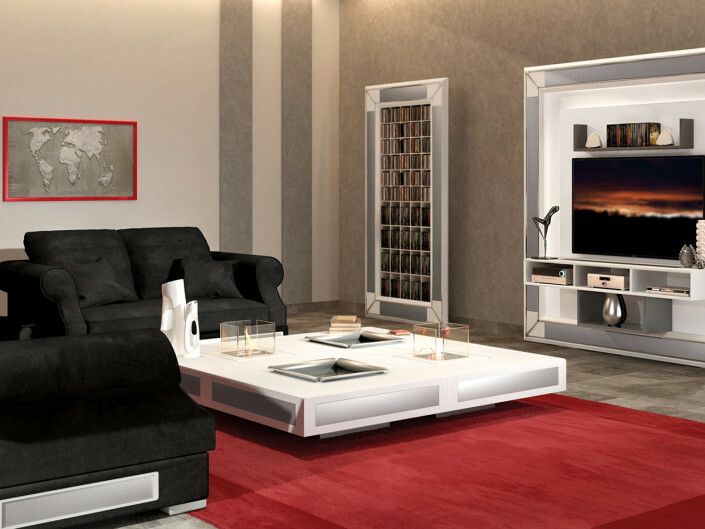 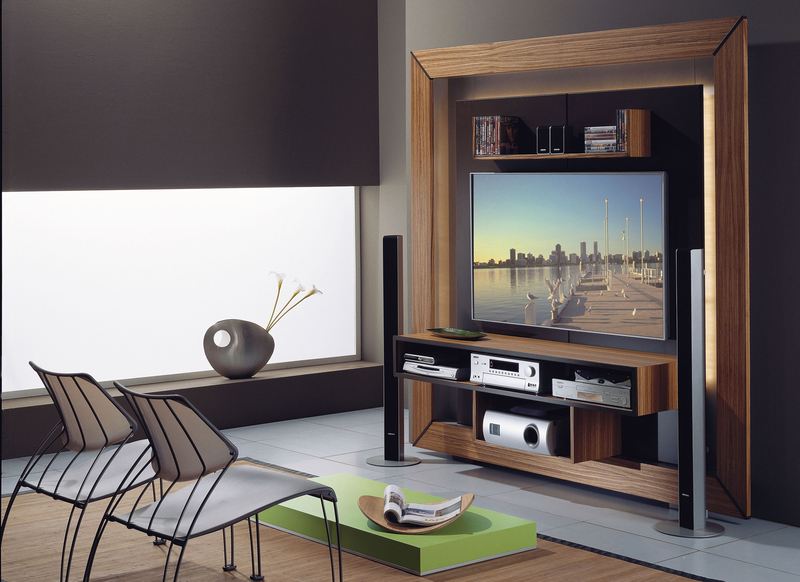 The Frame Tv Wall Unit is the best solution to dress with class an entire wall, giving an high-end touch to the living area. 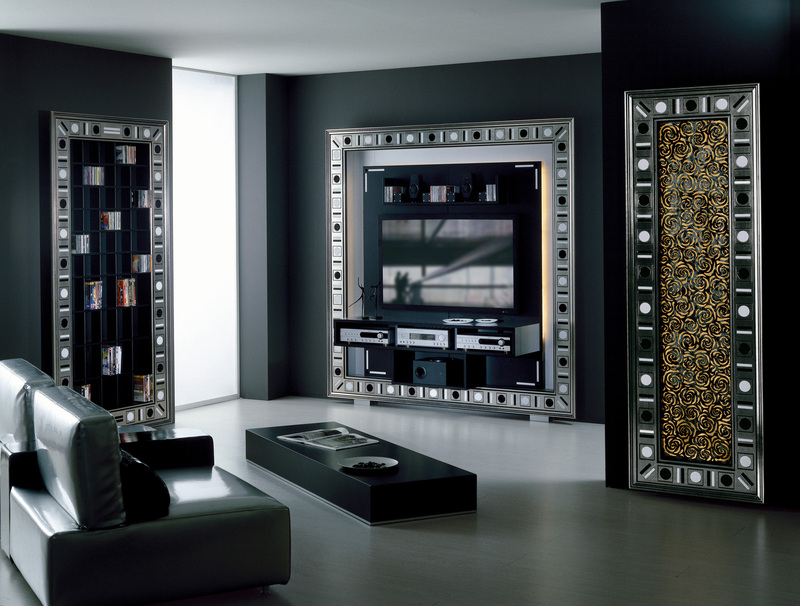 The big backlit panel hides electrical wires in an easily and orderly way, making visible only hardware components in the specific niches. 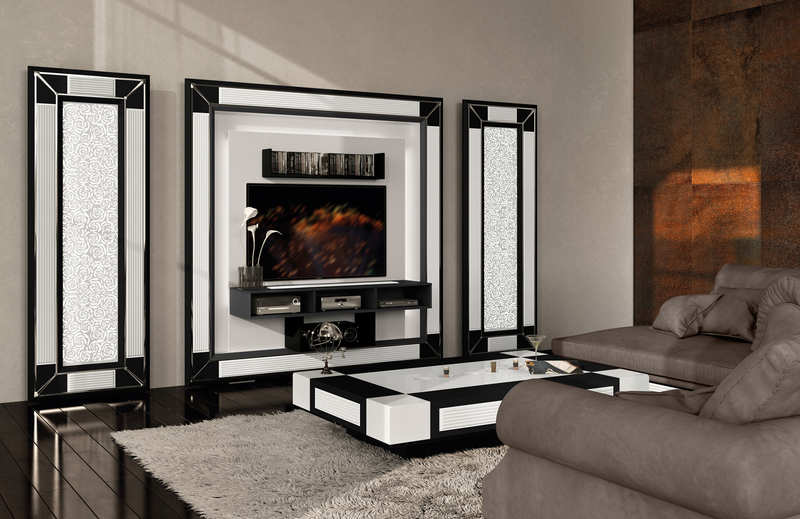 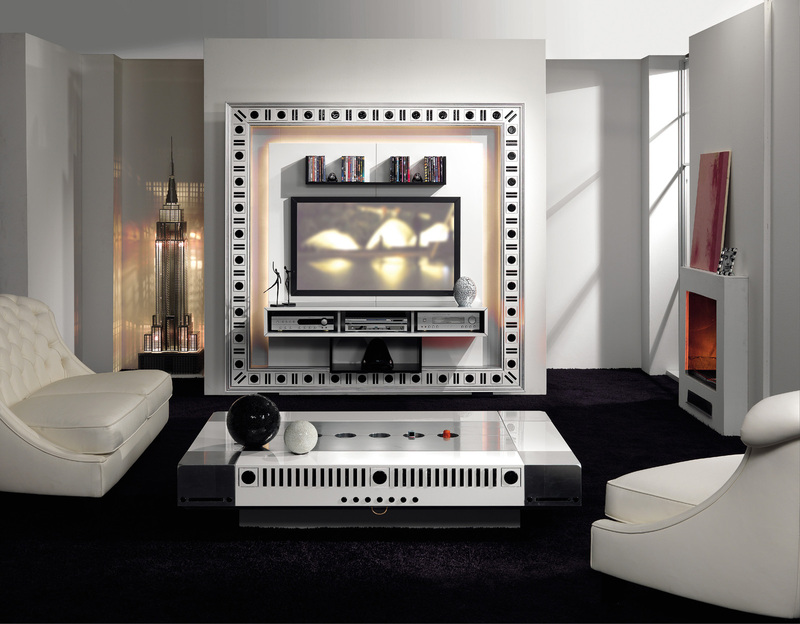 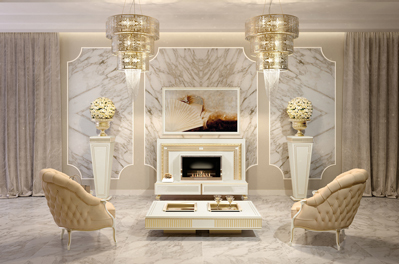 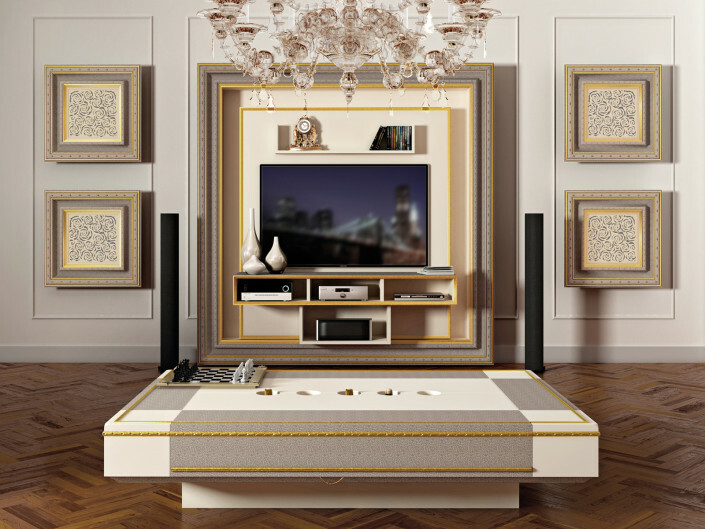 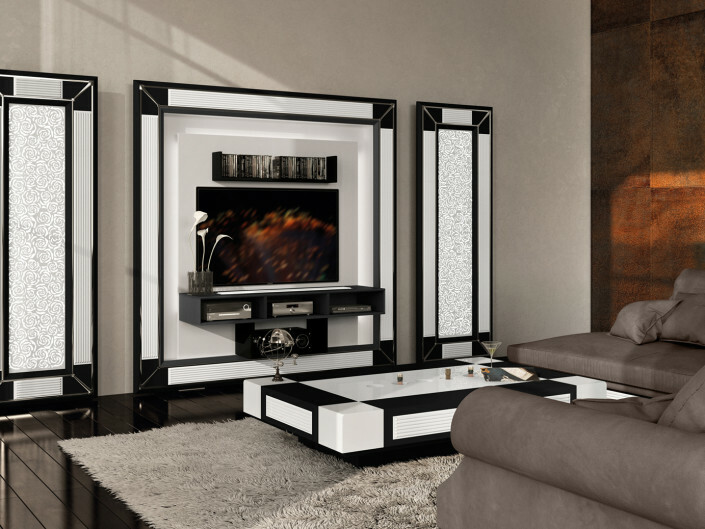 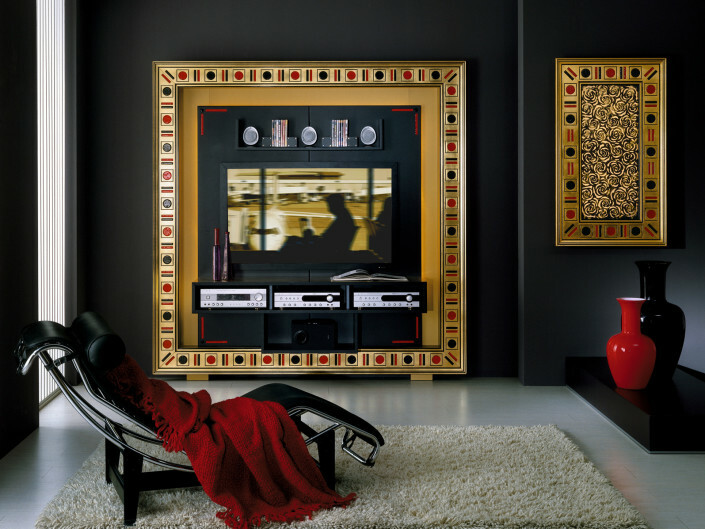 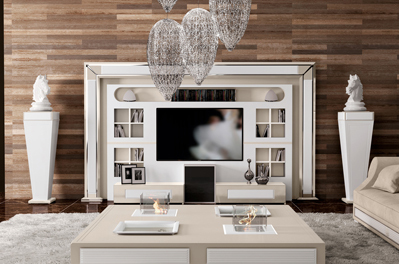 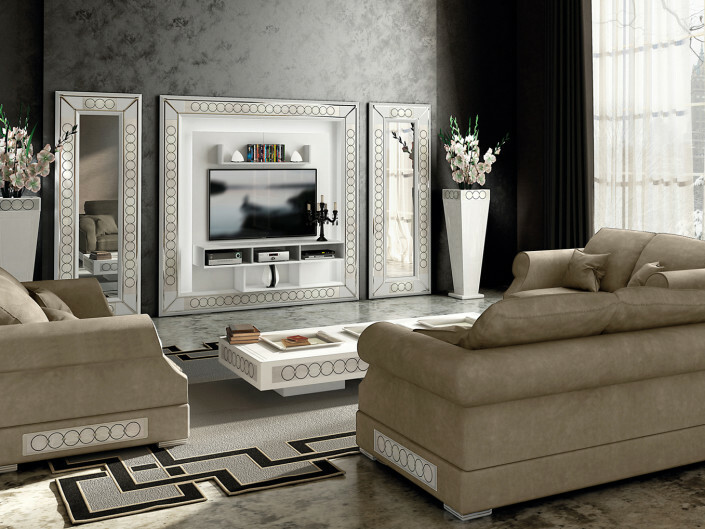 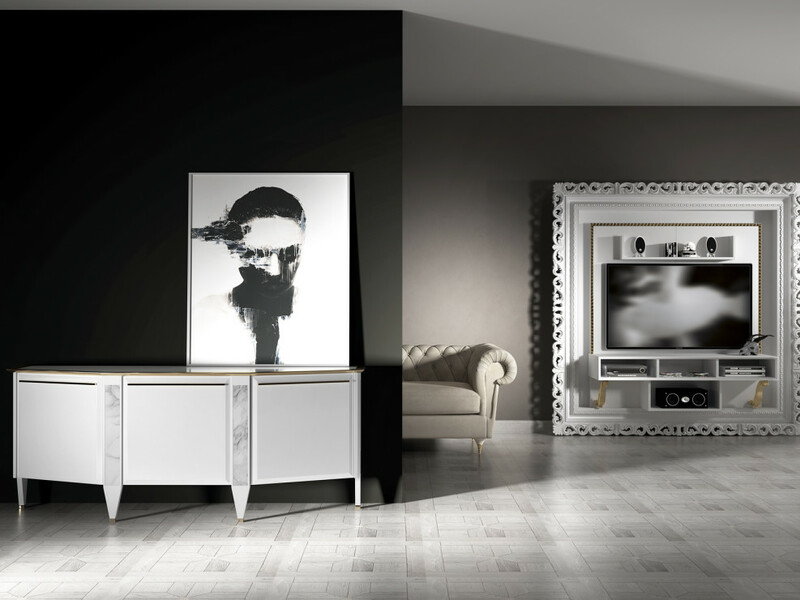 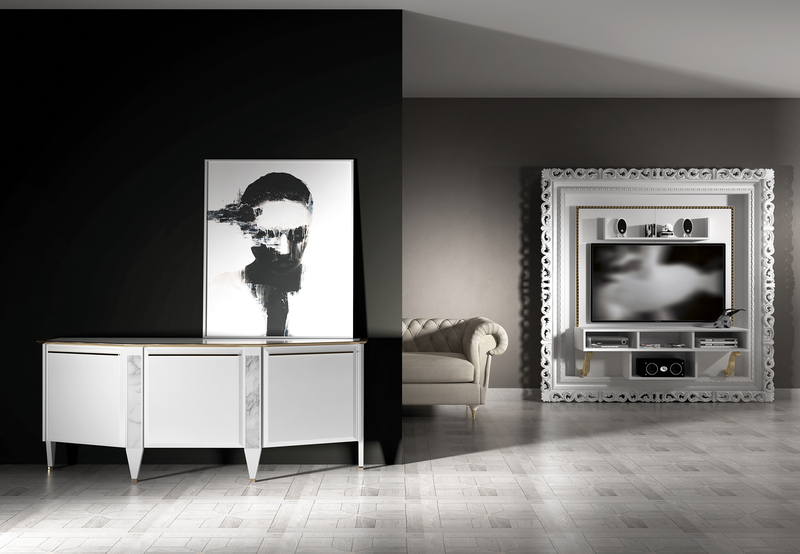 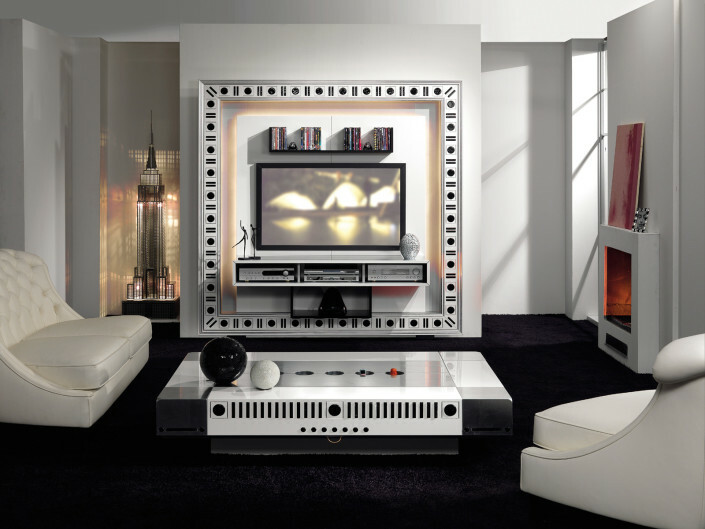 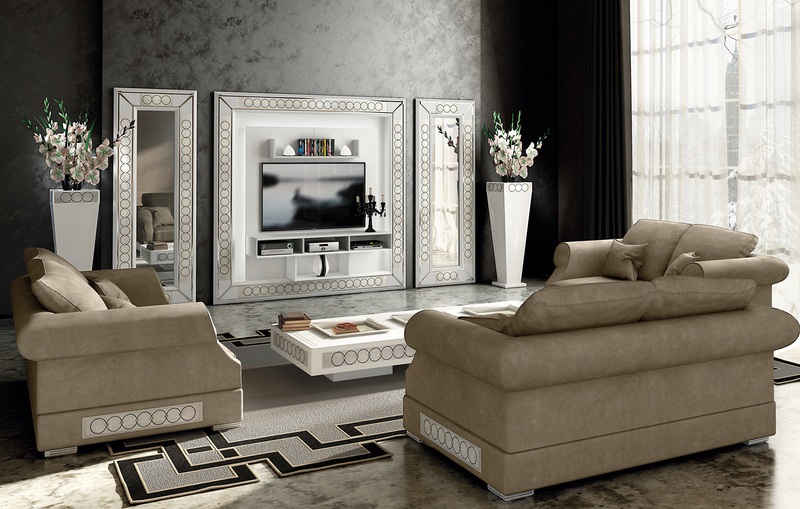 The real lead of this furniture is its decorative bold frame, available in endless styles: from classical ones with wood carving, handmade mosaik, Murano glass tiles and gold/silver leaf to contemporary ones with precious inserts like inlaid woods, embroidered leathers, marbles and more over.